The Faculty of Medicine at Dalhousie University invites applications for a Canadian Institutes of Health Research Tier 1 Canada Research Chair (CRC) in the area of “Health Data Science and Innovation”. This appointment will be a tenured position at the rank of Full Professor in the Department of Community Health and Epidemiology. The anticipated start date is July 1, 2020, or earlier, as negotiated between the successful candidate and the Department of Community Health and Epidemiology. 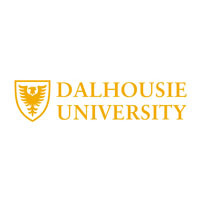 The successful candidate will be an outstanding and innovative researcher who leads an internationally recognized research program that aligns with Dalhousie’s strategic directions in Healthy People, Healthy Communities, Healthy Populations, and the cross-cutting themes of Big Data, Innovation and Entrepreneurship (https://www.dal.ca/research Signature Research Clusters.html). They will hold an MD or PhD degree in a related discipline and have a demonstrated record of attracting and supervising high quality graduate students and postdoctoral fellows. The successful candidate will have a national and international reputation for their work in the area of health data science, including the generation of new knowledge using existing data and/or the application of innovative methodological techniques to support and enrich new modes of data collection in this globally burgeoning field. They will be expected to play a leadership role in spearheading collaborative initiatives between groups who generate and use health data, and will have the experience and desire to work collaboratively with industry, with third-sector organizations, and with researchers in other Faculties across the University. The successful candidate will provide leadership in research and promote interdisciplinary scholarship to create new opportunities and drive strategic directions, and must propose an innovative research program of the highest quality that will attract excellent trainees, students, and future researchers. Dalhousie is the leading graduate and research university of Atlantic Canada, with more than 18,500 students, including 3500 in graduate programs, from 115 countries. Dalhousie University generated more than $150M in external research funding in 2017/18 with health-based research significantly contributing to its research revenue. University-wide assets and world-class resources including Health Data NS (https://medicine.dal.ca/departments/department-sites/community-health/re...), Maritime SPOR SUPPORT Unit (http://www.spor-maritime-srap.ca/), and the Institute for Big Data (https://bigdata.cs.dal.ca/). In 2018, the Nova Scotia Integrated Health Research and Innovation Strategy (NS IHRIS) was launched in partnership with Dalhousie, NS Department of Health & Wellness, the NS Health Authority and IWK Health Centre. This network was formed to support efficient knowledge exchange, evidence-informed decision making, and to improve health and healthcare in Nova Scotia. It is anticipated the successful candidate will have the opportunity to have a significant impact on health information associated with IHRIS which will lead to discoveries that will have a national and international impact. Further information can be obtained at www.dal.ca. The Canada Research Chair (CRC) program was established by the Canadian Federal Government with the purpose of attracting outstanding researchers to the Canadian university system. Tier 1 Chairs are intended for outstanding researchers acknowledged by their peers as world leaders in their fields. Please contact the research grants office and see the CRC website (www.chairs.gc.ca) for more information on eligibility. Dalhousie University is committed to fostering a collegial culture grounded in diversity and inclusiveness. In keeping with the principles of employment equity and the Canada Research Chair (CRC) program’s equity targets, this position is restricted to candidates who self-identify in one or more of the following groups: women, Indigenous persons, racially visible persons, persons with a disability, persons of a minority sexual orientation and gender identity. See www.dal.ca/becounted/selfid for definitions of these groups. Dalhousie recognizes that career paths can be diverse and that career interruptions may occur. Applicants are encouraged to include, in their cover letter, an explanation of the impact that any career interruptions may have had on their record of research achievement. Review of applications will begin immediately upon receipt, and will continue until the position is filled. Applications should include a detailed curriculum vitae, a two-page summary of the candidate's proposed research program, a one-page statement of research and teaching interests, a one-page description of teaching philosophy, and the names of three referees. A complete application will include a Self-Identification Questionnaire, which is available at www.dal.ca/becounted/selfid. Please submit applications to dalcrc@kbrs.ca or please apply online by clicking “Apply Now” on the button below, and note that all application materials must be submitted by April 23, 2019. All qualified candidates are encouraged to apply; however, Canadians and permanent residents will be given priority. Dalhousie University recognizes its obligation to accommodate candidates in order to ensure full, fair, and equitable participation in the hiring process. Our complete Accommodation Policy can be viewed online at: www.dal.ca/policies. To request accommodation at any stage in the hiring process, please contact Laura Godsoe or Nick Little at 1-902-422-1542. To learn more about this opportunity please contact Laura Godsoe or Nick Little at 1-902-422-1542.